Founded in 2011 by UK philosopher A C Grayling, New College of the Humanities (NCH), is a university-level college based in Bloomsbury, right at the academic heart of London. NCH offers its students liberal arts-inspired undergraduate degrees, and postgraduate Master’s qualifications. 1. NCH offers all students weekly one-to-one tutorials. This allows students to really get into depth in their ideas, and gives them confidence in their own academic ability, with their beliefs and ideas being questioned by their tutor, thus allowing greater understanding of topics. Students also benefit from small teaching classes, with one of the best student-to-staff ratios in the UK. NCH students, for instance, get 30% more contact hours per week with academics than their Russell Group* peers. 97% of our students receive feedback on their essays in person versus 31% of Russell Group* undergraduates. At NCH, our Visiting Professors collectively deliver around 100 lectures each year and actively shape the core curricula taught at the College. The Visiting Professoriate includes luminaries, such as Simon Blackburn, Sir Partha Dasgupta, Richard Dawkins, Daniel Dennett, Bettany Hughes, Steven Pinker, Sir Christopher Ricks, and Adrian Zuckerman. Students benefit from access to these academics, who are also engaged with the College through social events. Sir Christopher Ricks, for example, holds a pizza evening every Christmas, where students can discuss ideas with him. Undergraduates choose a combined honours degree comprising a ‘major’ subject and a complementary ‘minor’ subject, from any two of Art History, Economics, English, History, Law, Philosophy, and Politics & International Relations. NCH also offers Philosophy, Politics & Economics (PPE) and Philosophy, Politics & History (PPH) combinations, Creative Writing as a minor option, and a single honours Law LLB. On top of your undergraduate degree, all students study the NCH Diploma, which includes Applied Ethics, Critical Reasoning and Science Literacy, and LAUNCH, a professional development programme to help students gain professional skills to succeed in the workplace. Here at NCH, we as students are incredibly lucky to be situated in Bloomsbury, one of the best locations for higher education in the UK, with close proximity to many other universities, including University College London (UCL) and the The School of Oriental and African Studies (SOAS). The Registry—NCH’s main building, situated in Bedford Square—is a two minute walk to Senate House Library, the University of London Library, where NCH has its own reading room and personal collection. It’s also in close proximity to Student Central, the main social hub of the University of London, where students can join clubs and societies. With a small cohort of students, NCH is a tight-knit community in a big city. The small class sizes mean that students can get to know others in their course, with many discussions often taking place in the Junior Common Room (JCR) after lectures. Moreover, NCH has a range of clubs and societies, with students having the ability to create their own society with help from the Student Union, who actively provides funding. Students at the College are also able to participate in a huge array of clubs and societies, as well as events such as pub crawls, club nights, parties and balls, run by Student Central for students across the whole of London. NCH is situated in the perfect location for students to explore London. 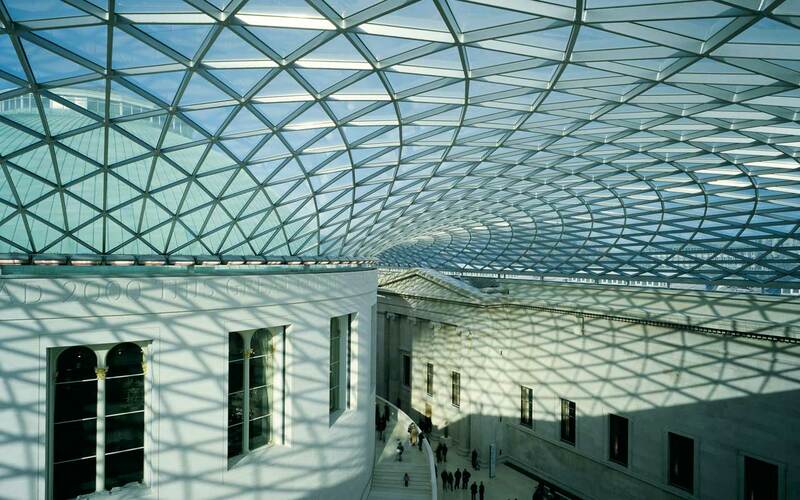 The Registry is mere steps to the British Museum, which holds an exceptional collection of artefacts from around the world, and a few minutes walk from the shops of Oxford Street and Covent Garden, and the theatres of the West End. As 18th century English writer Samuel Johnson said: ‘when a man is tired of London, he is tired of life; for there is in London all that life can afford.’ London really is a city that makes it very difficult to be bored! The city is a melting pot of people from all around the world, giving it a vibrant culture, and really offering something to suit all tastes and interests.